Purchase your 2019 Season Ticket. 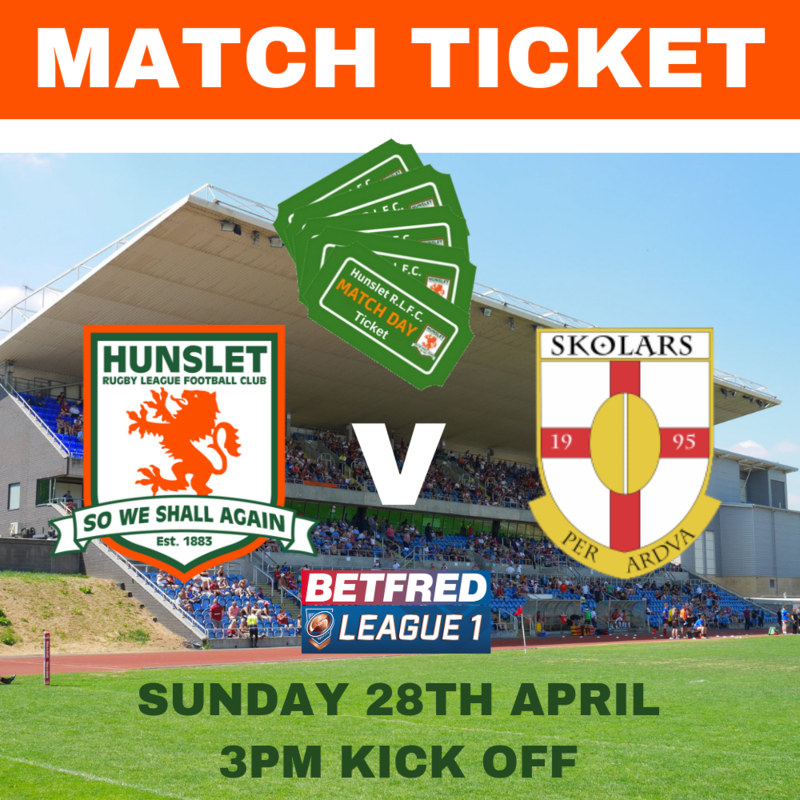 Tickets must be collected from the club shop. 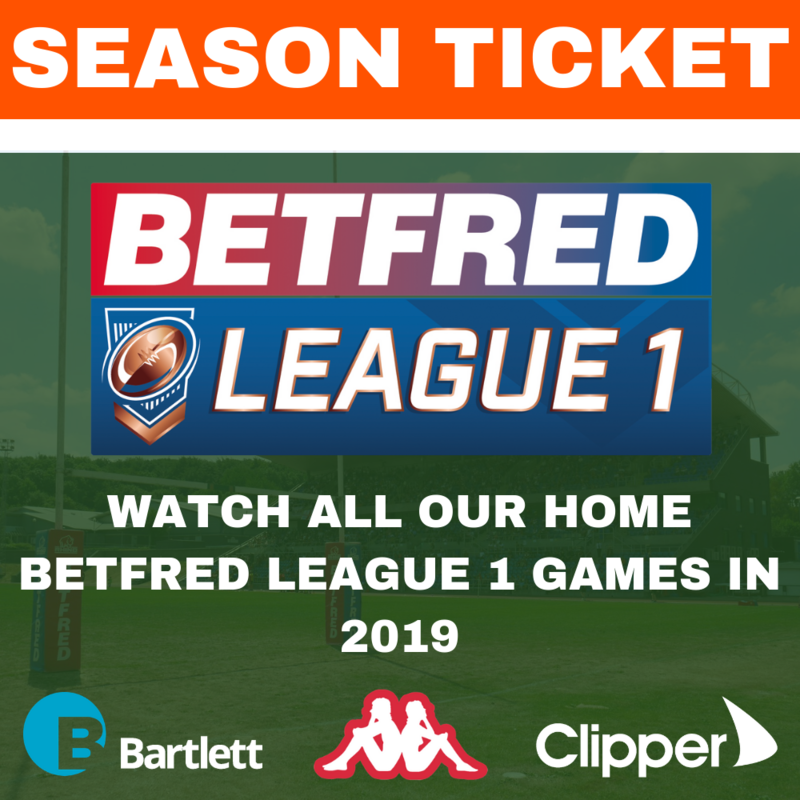 Hunslet RLFC are delighted to launch a special ticket bundle for our next four Betfred League 1 games which enables supporters to make a saving rather than paying each week at the turnstiles. 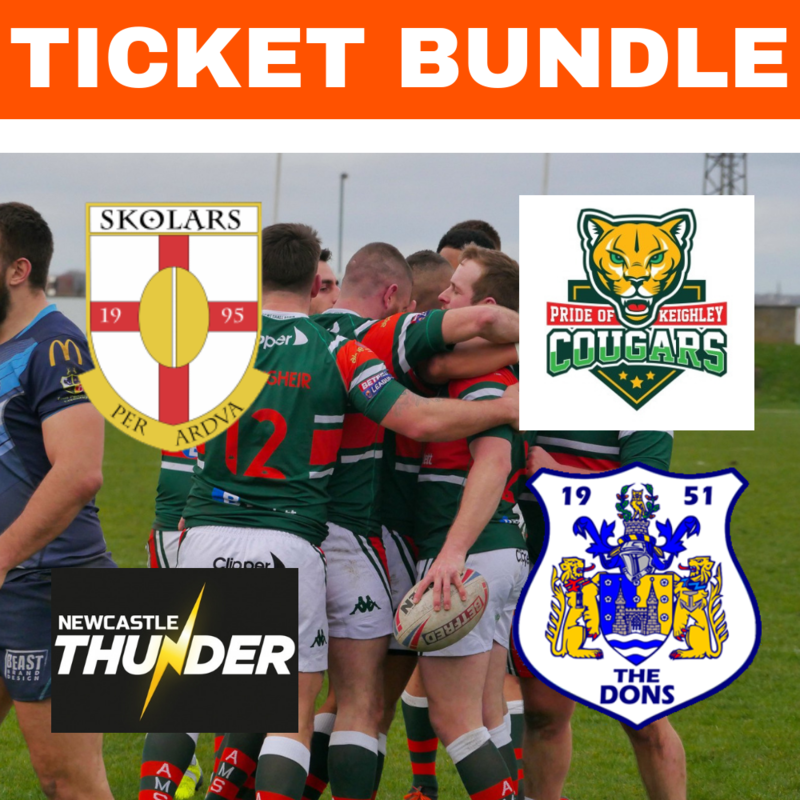 The ticket bundle includes games against London Skolars (28th April 3pm KO), Keighley Cougars (7th June 7.30pm KO), Doncaster RLFC (14th June 7.30pm KO) and Newcastle Thunder (7th July 3pm KO). 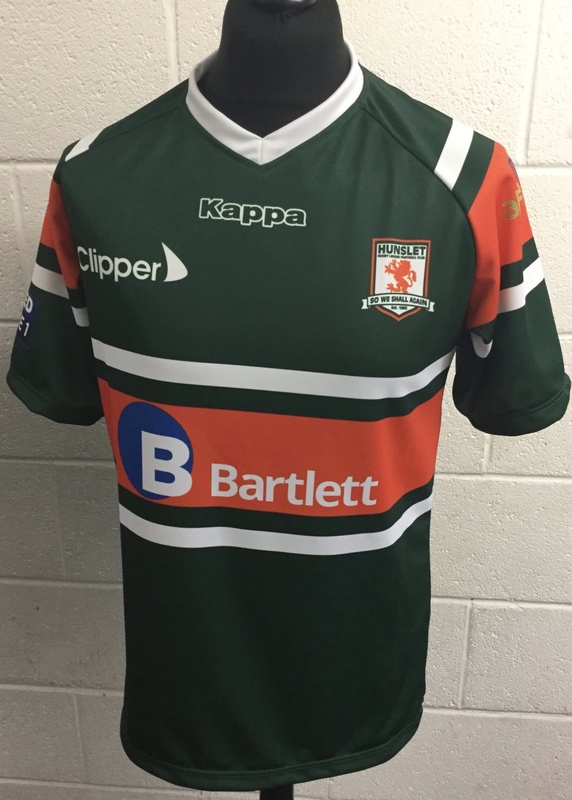 As an added incentive every supporter who takes advantage of this offer will be added to prize draw where one lucky supporter will win a replica 2019 home shirt (Worth £45).